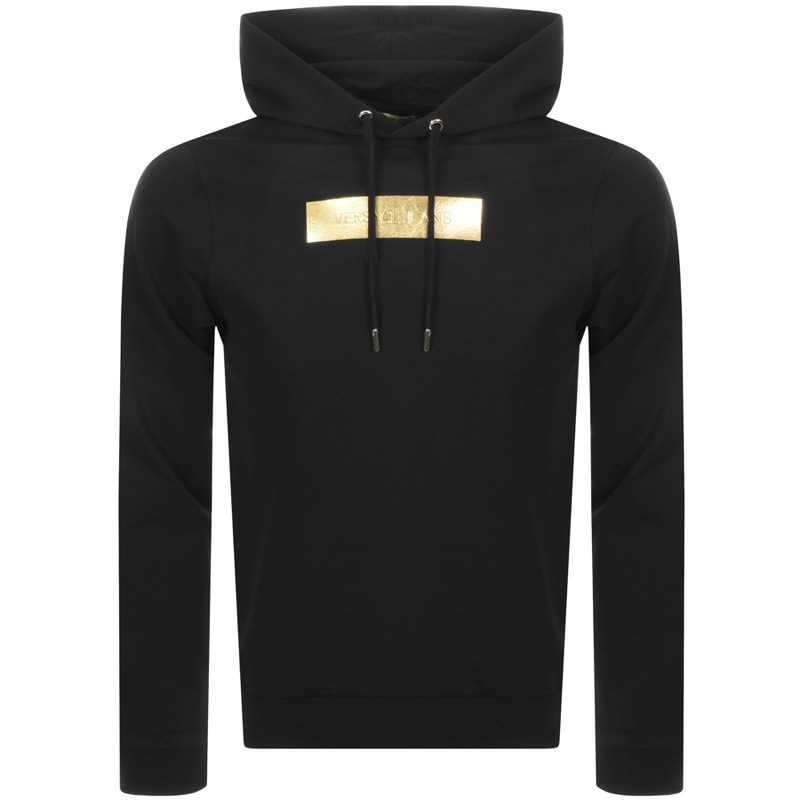 Versace Jeans Label Hoodie In Black, A lightweight hoodie with a large drawstring hood featuring metal eyelets and branded tips in gold. Ribbed cuffs on the long sleeves and a stretch ribbed waistband. The signature Versace Jeans logo is printed and embossed on the chest in gold foil with an additional embossed leather logo patch on the reverse right near the hem in black and gold. Top stitching in black. 95% Cotton And 5% Elastane. Brand New Collection Of Versace Jeans Hoodies, Zip Tops And Jumpers Live Online.